When my family and I got bored during winter, there are other fun ways we always determine to play without spending money. We do play video games, as my husband loves to collect Nintendo games with his Wii U player, he always saves money to buy new games for the system. 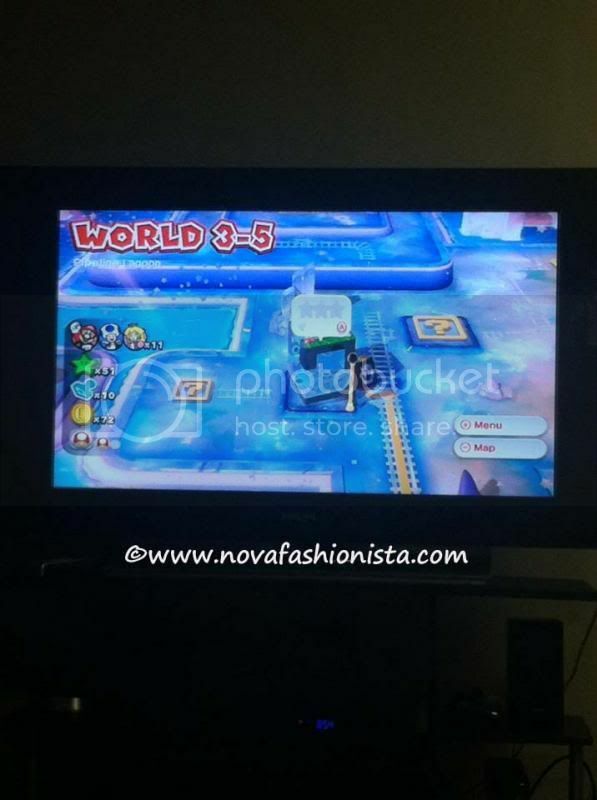 This time he got the Super Mario 3D Party world, something we would love to play with our 4 years old son. Playing video games isn’t bad at all as long as you know how to control your kid’s behavior so they won’t be addicted to playing games rather than enjoying the environment outside. In my stances, I am very much confident to play this game rather than the previous Super Mario games. Since, I find this very easy and you do have a lot of help in case you get stuck in one level in order to proceed to the next one. There you go, here’s one of the video games my family and I loves to play during the winter season. What about you, what kind of fun conduct do you do with your family? Great family bonding activity you have there! My kids play different games, those that I am not interested in because of all the things you still have to learn. Old age is getting to me, I guess. Haha. Thanks for sharing! Ditto. My kids and I are addicted to Just Dance :) Workout and play in one. bonding time doesnt mean spending too much...there are lot of things in our home that we cold bond with our family and this one is cool! I am not into games on the computer not that I don't want to anyway, I just don't have time for it. MY kids like it though. During spare time, I my wife and my apo play Battle City. Its great talaga having bonding time with love ones. Glad you are maximizing your wii player to enjoy playing with your kids. Mine is xbox + kinect but I seldom use it because my husband only knows how to manipulate it. I might better start learning how so I could also enjoy it during a very super hot weather here in Philippines!